Chicken is a common domesticated fowl, supposed to have descended from the red and gray jungle fowl according to genetic studies conducted. Chickens were thought to be first domesticated in India and from there, they traveled to Persia. In the 5th century BC, they made their way to Greece. Today, chickens are widely domesticated throughout the world for both meat and egg consumption. Did you know that the term chicken originally referred to chicks or the young ones? Chicken is a rich source of dietary protein that is required by the body to perform a number of vital functions such as maintaining bone density and helping to prevent osteoporosis. Chicken is very rich in vitamin B6, which is important for the body in metabolizing carbohydrates and fat, and is important in the production of red blood cells as well as strengthening the immune system. Another important mineral that chicken delivers is selenium, a trace mineral that is required by the body and can help protect you from the damage caused by free radicals. Selenium also boosts the immune system and helps the thyroid gland to function properly. When choosing poultry–whether you are buying a whole bird or smaller cuts of chicken or other poultry–always buy meat that has a healthy appearance and colour and does not look gray or dry. If choosing a whole fresh chicken, Grade A poultry is the best and it will have a plump body, perfect skin and will be free from any imperfections such as cuts, bruises or broken bones. Make sure that the poultry has been refrigerated and properly covered when on display in the store. Look for packaging that does not contain any holes or tears and make sure that the meat is cool to the touch, so that you are certain that it has been adequately stored. 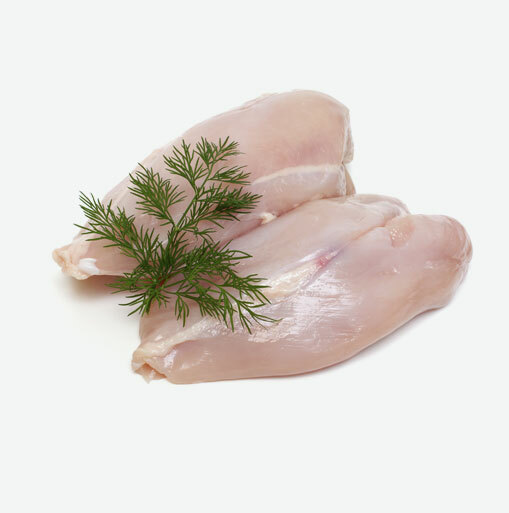 Poultry is a perishable product, so if you have any doubts about the quality of the meat, it is best to throw it out, especially if there are signs of deterioration such as a foul smell or an off colour. When choosing a whole chicken, allow 1lb (450 g) of meat per person if you are unsure of how big a bird to buy. Once at the check out, place the poultry in a separate plastic bag, away from the other goods, preferably wrapping it in one bag first and then placing this bag inside another plastic bag. This will keep the meat away from other products, especially fresh fruit and vegetables and prevent contamination that could occur from meat juices dripping onto the other goods. Chicken can be roasted, stir-fried, stewed, made into soups and much more. It is versatile meat that can be used in just about any dish where you want to serve protein. Try marinating your chicken prior to cooking. This tenderizes the meat and gives it more flavour.